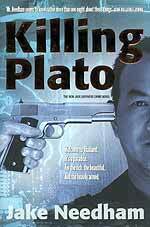 The newest thriller on the shelves comes from American Jake Needham (Tea Money, The Big Mango) and is titled Killing Plato (ISBN 974-619-112-8). This is not Plato the philosopher, rather it is a Plato Karsarkis, oil trader and international racketeer - who actually turns out to be quite a philosopher later in the book. The book reintroduces the character Jack Shepherd from his previous books, a previously high-flying American lawyer and now someone who seems to get himself involved in the type of things that you and I spend our lives trying to avoid. The book is based in Thailand, as is its author these days, and opens in the Boathouse in Phuket, with Plato Karsarkis and Jack Shepherd meeting at the bar. A complete surprise for Jack Shepherd, but not so for Plato Karsarkis. It goes on from there, with Jack being offered one million dollars to represent Plato, not just to the court judicial system, but to the US President. A sizable sum, but if Jack Shepherd were to secure a Presidential pardon, the munificent Plato Karsarkis would place another four million greenbacks beside the first million. At this point in the book I was wondering why (a) Jack was still procrastinating, and (b) why did I never receive such offers? As they say, everyone has his price, and you’ve got me for one mill, Plato! Later in the book, the much maligned Plato admits that some of his companies were perhaps a little shady. One in particular was used for secret construction projects, selling and shipping arms, money laundering, bribery, extortion, blackmail, disinformation and plain old espionage. Just another of your regular Mom and Pop cornerstore businesses. Puddling around in all this is the central character, ‘fearless’ Jack Shepherd. Or should that have been ‘foolhardy’ Jack Shepherd who survives by a combination of guile, guts and genuine good fortune? One feature that I find compelling in Needham’s writing, is that you are presented with real people in what appear to be real situations. When there is a need to expand to make the scenario more detailed, he does so. Otherwise it is confined to dialogue between the characters in the plot, and believable dialogue which gives life to the characters. No matter how seamy or how sinister. Options that seemed fantastic when you first read them, or way beyond belief, begin to become perfectly natural and totally believable as the plot unfolds. Of course the Thai head of national security is a beautiful looking woman who wafts around in chauffeur driven black Benzes. Aren’t they all? From what initially sounds a little Hollywood, becomes totally ordinary as the latest cavalcade of black Benzes breezes past my office with motorcycles and flashing lights preceding, and a drive to a spa in Phuket ends up as a machinegun shoot out in which Arnold Schwarzenegger would be proud to be a part. A thriller in the grand manner, Needham leads you ever so gently up the garden path, just don’t step sideways or backward - just keep reading. You’ll love this book. “Sometimes there is consolation in isolation’’. These are the words printed on the inside cover of this marvellous electric guitar solo album from that brilliant musician Peter Banks. Very apt they are, too. Although Peter Banks was at the creation of the band “Yes” and indeed the bands that were its forbearers (“SYN’’ and “Mabel Greers Toy Shop”), he remains the only member of the band not to have been invited back at some stage or other. His replacement on the guitar, Steve Howe, has joined and left the band an incredible four times. Even when they recorded and then toured with the Reunion album with an incredible and quite farcical eleven man line-up, Peter Bank’s talents were regarded as surplus to requirements. In fact, when once Peter was invited by the rest of the band to make a guest appearance on the encores with the band at the end of a U.K. tour, Steve Howe threatened to leave the band. Peter Banks wasn’t allowed on the same stage as the obviously very insecure guitarist. So what can be the reason behind this entire skulduggery? Almost alarmingly simple the story goes like this. In the formative years of “Yes”, way back in 1968, Peter Banks was not only lead guitarist, but also inspirational in creating the Yes sound. The distinctive diamond edge guitar solos, the granite hard riffs coupled with Jon Anderson’s soaring vocals, the brilliant musicianship of the back line of Tony Kaye on keyboards, Chris Squire on bass (one of the first people to play the bass as if it were a lead instrument rather than just a backing device), and the drummer’s drummer Bill Bruford. The band was obviously tipped for stardom. After two albums, the amazing debut album ‘Yes’, which has just been re-released digitally re-mastered with four outstanding bonus tracks, and the equally polished second album ‘Time and a Word’, musically everything was looking great, but whilst the others were all rather taking themselves terribly seriously, Peter Banks was enjoying the Rock ‘n’ Roll lifestyle just a little too much. An ultimatum was sent down by the management (it must be said not with the entire backing of the entire band. Keyboard player Tony Kaye was to leave the band in similar circumstances after one more album to be followed by drummer Bill Bruford an album later. Over the years these two have been in and out of the band’s revolving door whilst it has remained firmly shut to Peter Banks). Either clean up your act or out they said. Well, there was no choice really. Peter Banks left “Yes” forming his own band “Flash”. Its music could only be described as progressive rock meets punk rock while retaining the Banks’ guitar sound. “Yes” brought in the far more controllable Steve Howe to copy Banks’ licks for their breakthrough album ‘The Yes Album’. “Flash” went onto enormous successes in the U.S.A., releasing three albums before disbanding and going their own way. Peter Banks went on to enjoy life as a session musician and toy with the idea of forming a band called “Empire”, which went through as many musicians as his former colleagues in “Yes” would go through. Several solo albums have been recorded along the way with ‘Reduction’ being the third. 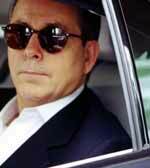 Released in 1997 it is full of all the usual Bankism’s that you come to expect from the man. An amusing and unique little opening to get you in the mood before a blistering seven minutes of ‘Tone Down’ where the guitarist shows off all his talents at one minute one hundred notes a second. The next bending one note right round your player and straight out the other door. I’m not saying you have to have a decent player to listen to a Peter Banks recording, but it certainly helps. Voice samplings are used to string each instrumental together, my favorite being ‘What gives you the inspiration to write a song like that’. ‘Usually the landlady knocking on the door” makes the whole thing flow sublimely from one track to another. Although every track is a guitar instrumental there is more variety on a Peter Banks album than there are colours in a box of Smarties. They range from the sledgehammer licks of ‘Fathat’ to the delicate acoustic work on the delightful ‘Fade to Blue’ or the tragic beauty of a song like ‘As Night Falls’. With songs like this you do not need lyrics to display the emotions of the music. The rhythms of ‘Dirty Little secret’ will bury themselves in your subconscious and drive you nuts trying to recall where you have heard it before. The overdubbed guitars here become more and more menacing as the song progresses, implying the perfect soundtrack to a particularly nasty repetitive nightmare. Fair sends a tingle up and down your tail. “Reduction is the way to production” is printed on the back cover. If this is the way producing music of this calibre, so be it. One can only ponder what would have happened if the boys at “Yes” had stuck with their wayward son. I do not think that they would have turned into the sorry parody of themselves that they have now become. But we shall never know. The best thing to do is get yourself a copy of ‘Reduction’, press play and be whisked away on one of Mr. Banks’ musical journeys.